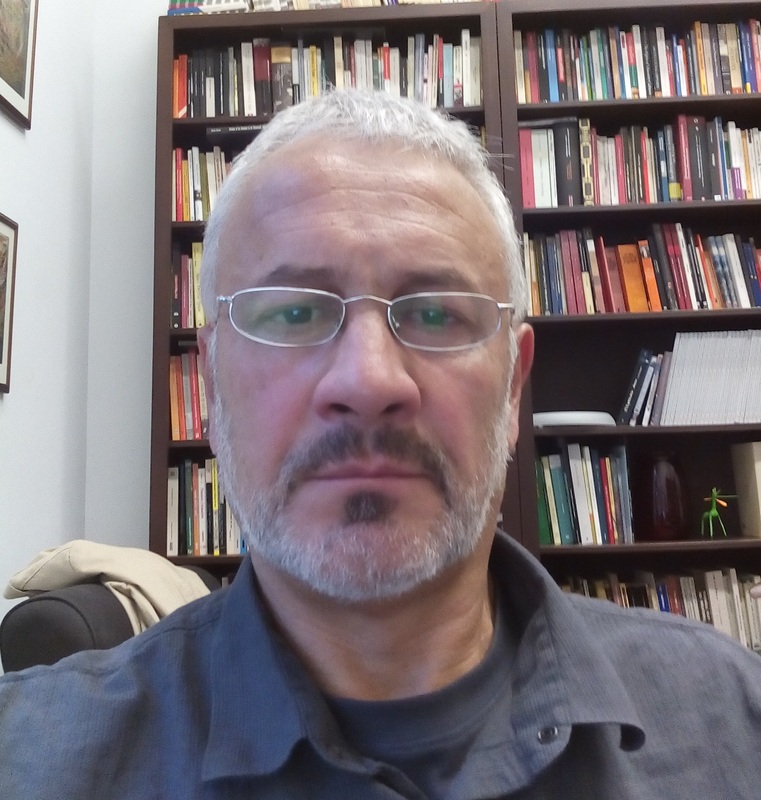 Mario Santana is an Associate Professor of Hispanic and Luso-Brazilian Studies at the University of Chicago, USA, where he is the faculty coordinator for the Catalan Studies Program. He received his PhD in Spanish Literature from Columbia University. In the past he has been visiting professor at Harvard University and CUNY. His teaching and research focus on contempory Iberian literatures, with an emphasis on narrative, translation, and visual culture. Author of Foreigners in the Homeland: The Spanish American New Novel in Spain (2000), his most recent publications include essays on media and memory in Catalan and Spanish television, the institutionalization of Iberian Studies in the US, translation and Iberian interliterary relations, and the fiction of Jaume Cabré. Her recently coordinated an issue devoted to translation and Iberian literatures in Pasavento: revista de estudios hispánicos (2016). He is a member of the MLA Executive Committee on 20th- and 21st-Century Spanish and Iberian Forum (2014-2019), and the current president of the North American Catalan Society (NACS). Relevant publications in the field of Iberian Studies include: “National Literatures and Interliterary Communities in Spain and Catalonia” (2000), “Mapping National Literatures” (2005), “El hispanismo en los Estados Unidos y la «España plural»” (2008), “Implementing Iberian Studies: Some Paradigmatic and Curricular Challenges” (2013), “Translation and Literatures in Spain, 2003-2012” (2015). Santana, Mario. 2009. “On Visible and Invisible Languages: Bernardo Atxaga’s Soinujolearen Semea in Translation.” In Writers In Between Languages: Minority Literatures in the Global Scene, edited by Mari Jose Olaziregi, 213–29. Reno, Nevada: Center for Basque Studies / University of Nevada. https://basque.unr.edu/docs/Writers-in-between-Languages_digital.pdf. Santana, Mario. 2012. “Los mercados de las literaturas en España: La producción literaria.” ALCES XXI: Journal of Contemporary Spanish Literature & Film, no. 0: 230–51. http://revista.alcesxxi.org/. Santana, Mario. 2016. “Presentación [Traducción y literaturas ibéricas].” Pasavento. Revista de Estudios Hispánicos 4 (2 – Monográfico “Traducción y literaturas ibéricas”): 275–79. http://www.pasavento.com/pdf/00_08INTRO.pdf. Santana, Mario. 2000. “National Literatures and Interliterary Communities in Spain and Catalonia.” Catalan Review: International Journal of Catalan Culture 14 (1-2): 159–72. http://www.raco.cat/index.php/CatalanReview/article/viewFile/309868/399852. Santana, Mario. 2011. “De ‘El cuarto de atrás’ de Carmen Martín Gaite a ‘La meitat de l’ànima’ de Carme Riera: Notas sobre la memoria histórica en la novela contemporánea.” Tejuelo: Didáctica de la Lengua y la Literatura, no. 10: 97–110. http://mascvuex.unex.es/revistas/index.php/tejuelo/article/view/2478. Santana, Mario, Brad Epps, and Luis Fernández Cifuentes. 2005. “Mapping National Literature: Some Observations on Contemporary Hispanism.” In Spain Beyond Spain: Modernity, Literary History, and National Identity, 109–24. Lewisburg, Pennsylvania: Bucknell University Press. Santana, Mario. 2013. “Implementing Iberian Studies: Some Paradigmatic and Curricular Changes.” In Iberian Modalities: A Relational Approach to the Study of Culture in the Iberian Peninsula., edited by Joan Ramon Resina, 54–61. Contemporary Hispanic and Lusophone Cultures 8. Liverpool: Liverpool University Press. Santana, Mario. 2015. “Translation and Literatures in Spain, 2003-2012.” 1611: Revista de Historia de La Traducción / A Journal of Translation History / Revista d’Història de La Traducció 9 (9): online. http://www.traduccionliteraria.org/1611/art/santana.htm.